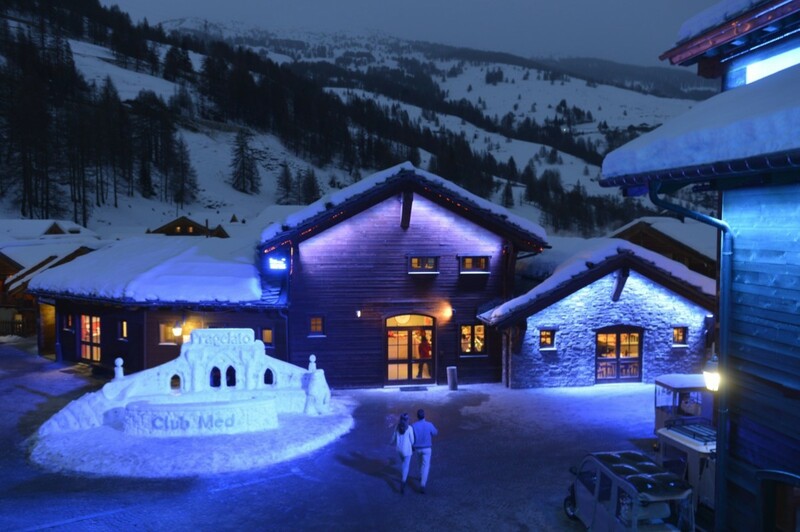 Club Med Pragelato, Italy has the charm of an authentic village with contemporary styled chalets in Europe’s second largest ski domain. Located in Italy’s Piedmont region at an altitude of 1,600 metres, in a beautifully preserved natural site, this relatively new Club Med Resort, with its charming chalets, promises a warm and friendly welcome and a genuine Italian Dolce Vita atmosphere. The Via Lattea region hosted many events during the 2006 Turin winter Olympics. 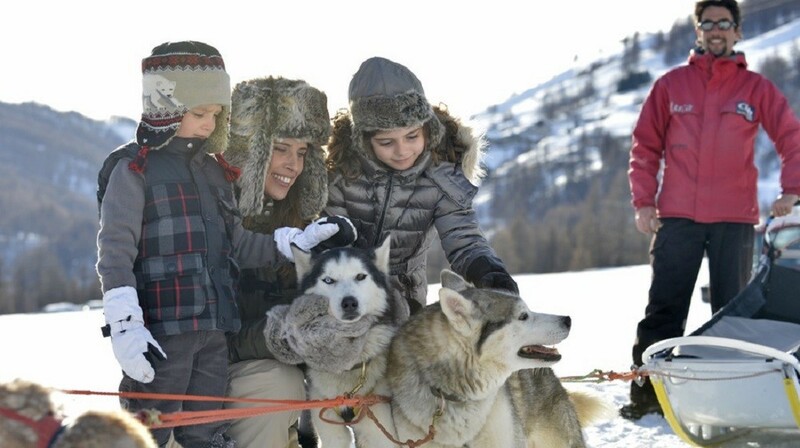 Club Med Pragelato Vialettea is an ideal holiday choice for families, with children’s club facilities from two years old through to teens. 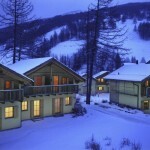 Parents can make the most of the Italian “art de vivre” (art of living) in this wonderful winter resort. Enjoy a large heated indoor pool with magnificent views, a Turkish bath*, a well equipped fitness room and an extensive sports programme. In an exceptional location in Italy’s Piedmont region, at an altitude of 1,600 metres, this relatively new Club Med Resort has charming chalet architecture. 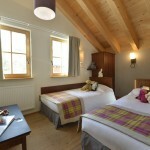 They have been designed with a traditional cosy chalet ambience in an upbeat, contemporary style. 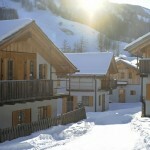 There are 20 clusters of chalets around Club Med Pragelato giving pride of place to premium family accommodation. 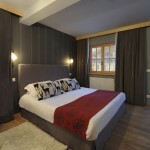 All rooms provide an excellent standard of comfort. 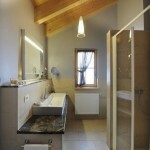 These elegant and delightful (25 sq m) rooms are perfectly equipped to ensure your total wellbeing. 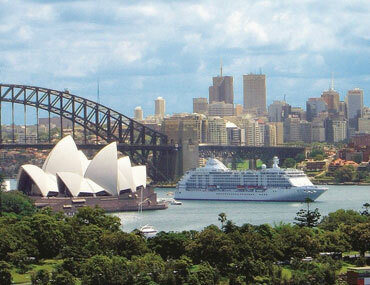 There are also club family rooms and apartments available if you are travelling as a family and require more space. 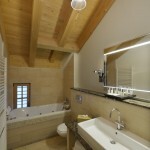 There are 3 suites (64 sq metres) which are designed on two levels. On the ground floor there is a lounge and bathroom. 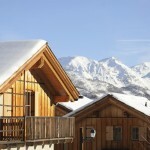 The bedroom and en-suite bathroom are upstairs and they offer all the comfort you could wish for after a great day’s skiing. 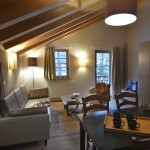 The 14 Family Suites are in an ideal location and offer spacious accommodation (also 64 sq. metres). 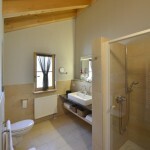 They are on one level which has two rooms with a lounge and two bathrooms and a balcony. 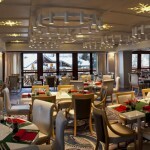 Club Med Pragelato chefs prepare delicious, creative cuisine and impeccable table art. They pull out all the stops to ensure you have a fabulous and entertaining meal. 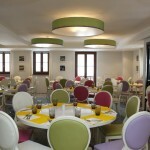 The main restaurant Il Piedmont, offers four different section with four different ambiences, arranged in a star shape around the buffet: the cermaics room, “Del Arte”, the mirror room, “Il Cristallo”, the national park room, “Val Troncea” and the herbarium room, “L’Erbario”. 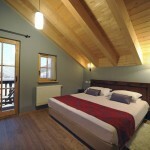 One of the rooms has a terrace with a breathtaking panoramic view, where you can enjoy the benefits of the mountain air. La Trattoria is open from lunch time through to dinner (dinner subject to reservation). La Trattoria proposes snack lunches such as pizzas, salads and pasta. 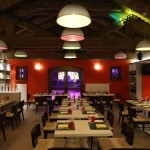 In the evening come and dine in a typical Italian atmosphere with live music. 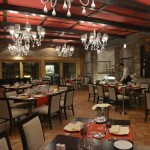 The La Tana restaurant serves mountain specialities such as fondue or pierrade (additional charge). 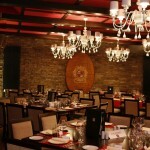 With a wine cellar ambience ideal for wine tasting, this is a genuine experience of Italian style. 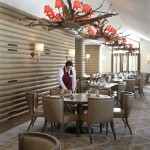 After your skiing lessons, you can lunch on the slopes at the mountain restaurant, Mollino Chalet. 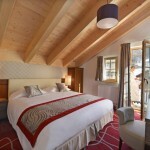 Located at Sauze d’Oulx, the Chalet is reserved for Club Med clients 5 days a week. It blends traditional mountain architecture with the assets of modern technology. 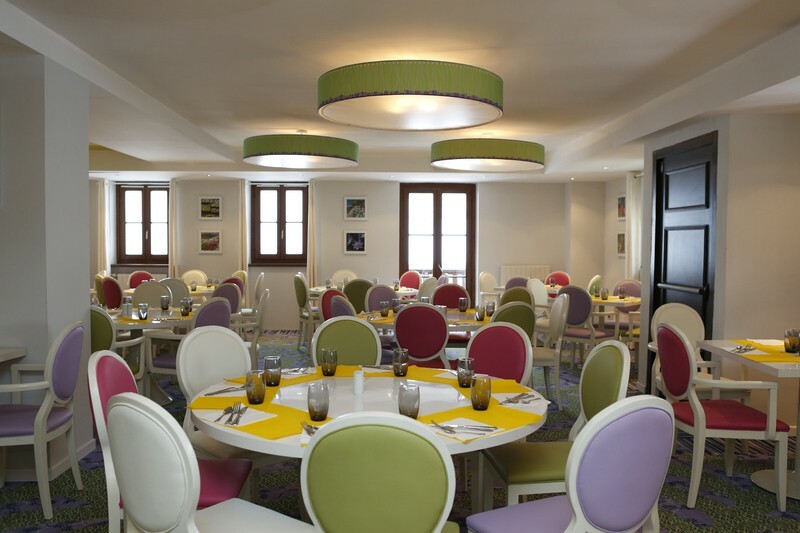 There are additional lunch venues at San Sicario and Montgenevre but these are not exclusive. Club Med pride themselves on having the most all-inclusive drinks package available. 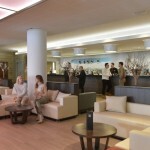 At Club Med Pragelato the bar is truly open for anything you desire from wine, beer, cocktails, soft drinks & juices. You can enjoy drinks any time…perhaps after a fun day of skiing, pre-dinner cocktails and canapés with family and friends or wine & beer with lunch and dinner. It also means you don’t have to worry about how many drinks the kids may have signed to the room throughout the day! In the heart of the resort with a festive and friendly ambience, the main bar La Lanterna welcomes you all day long with a great selection of drinks to choose from. 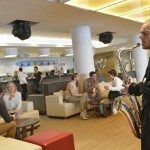 Le Dolce Vita lounge bar is a more exclusive, dedicated space on the 2nd floor. 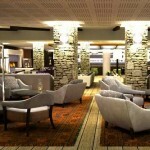 Small lounge areas around the bar make this a great place for friends to share quality time together. 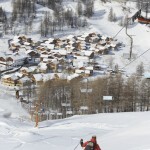 Via Lattea (Milky Way) / Sestriere is the skiing area accessible from the resort. This winter sports area in the Italian and French Alps, straddling the French-Italian border at Claviere/Montgenèvre. Located some 70 km west of Turin, it comprises the five Piedmontese resorts of Claviere (1760m), Sansiccario (1700m), Sauze d’Oulx (1509m), Pragelato (1518m, Sestriere (2035m) and additionally the French resort of Montgenèvre (1850m). 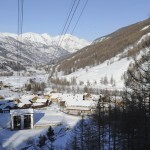 The cable car that runs from the foot of the ski room at Club Med Pragelato will take you in just 4 minutes to the ski slopes of Via Lattea with its 400 km’s. of ski runs! 40 km of cross-country ski runs. 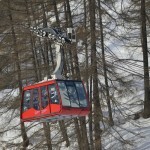 Club Med Pragelato is equipped with a “hands free” ski pass system ensuring greater fluidity for skiers (you may be required to pay a deposit for this service). Professional ski and snowboard instructors, who are perfectly familiar with the ski domain, will guide you over the slopes best suited to your level of skill, to ensure you progress safely but surely in the best possible conditions. This is done in small groups of approximately 12 people. A test is held on the first morning to determine your level, and the right class for you. Club Med group lessons are available all day for 5 days from Monday to Friday. In order to guarantee the progress of beginner skiers, they must take the first lesson on Monday. The ski pass for Sestriere is included for 6 days from Monday to Saturday, if you want to ski the day of arrival, you can purchase a day pass on site. A standard 6-day lift pass for one resort on the Italian side gives two free days skiing elsewhere in the Italian Via Lattea; otherwise, a supplement is payable, as it is for Montgenèvre (this information is subject to change). Group lessons are held from the age of 4 in Mini Club Med. Private lessons are available and need to be booked at least 2 weeks prior to arrival. Group lessons are held from the age of 8 at particular times of the year. From age 12 lessons are held throughout the season. Private lessons are available and need to be booked at least 2 weeks prior to arrival. Group lessons are held from the age of 12. Club Med Pragelato strongly recommend you wear a helmet. Helmets are compulsory for youngsters up to 18 years old by Italian law. 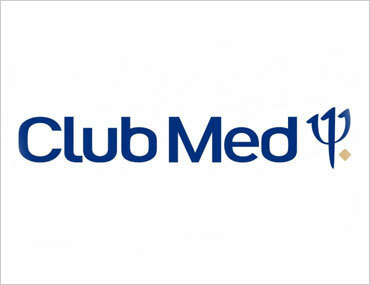 All Club Med Resorts loan helmets to children under 12 (with Club Med skiing/snowboarding/cross country equipment rental) otherwise helmet rental rates available on site at the Club Med Ski Service®. The Multi Snow Sports Programme enables skiers of Class 3 and higher to try all the techniques, with the latest equipment. Teens can choose between moguls, jumps, skiing on the edge of the pistes, slalom, skicross, skiing through the forest, in the powder and initiation and awareness of safety in the mountains. With a specialist instructor, participants can put together the week’s programme, depending on the desires of the group, the weather conditions and the infrastructure proposed in the resort. The Multi Snow Sports Programme is only available at certain times of the year. Please enquire for the specific dates. 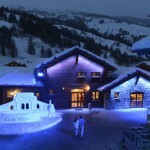 Club Med Pragelato Spa by PAYOT* is nothing short of a sanctuary. Put yourself in the gentle hands of the Club Med beauticians and massage therapists, and let your senses take over. Choose from a wide range of beauty treatments . Fatigue and tension will give way to a delightful sensation of well-being and serenity. 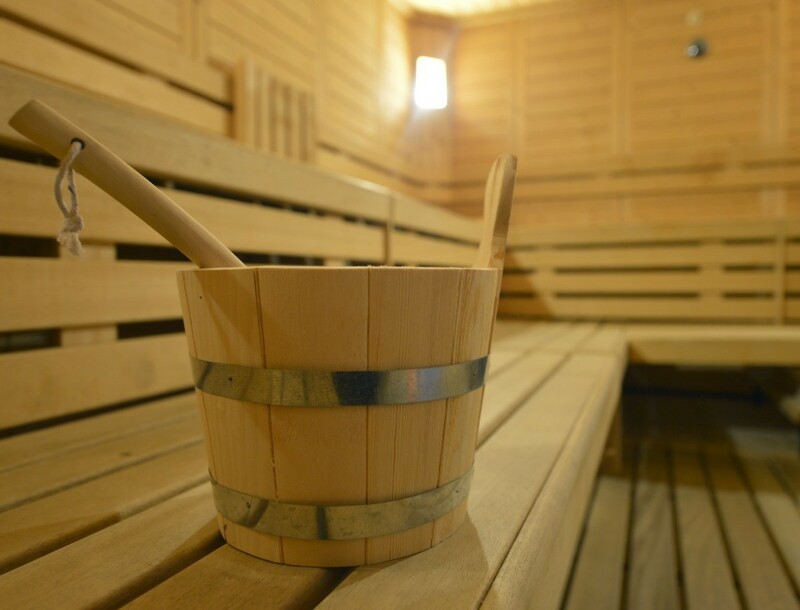 Club Med Pragelato Spa by PAYOT* now proposes specific beauty treatments for teenagers (excluding massage), at set times in the day, to introduce them to the World of Wellness. An experience to try on your own, with Mum or with your friends. From 11 to 17 years. There is a hair care salon* located in the Spa area for a great combination of hair care (scalp scrub, masks, serums) and relaxation (scalp, hand and shoulder massage), cutting and styling. For your wellbeing, make the most of the indoor pool at the Resort. With its vast bay windows, you can swim in a “pool of light”. This is a great alternative to skiing, for those looking for other ways to enjoy the mountains. 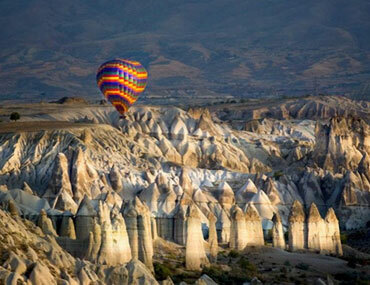 It is ideal for discovering the region and taking the time to contemplate the view. From 12 years old, over a period of 5 consecutive days, a complete programme is offered combining these three worthwhile activities. 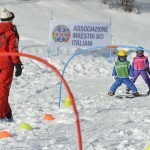 From 4 years old, participants learn to ski with circuits around figurines and under hoops at Club Med Pragelato ; they learn to use the ski tow and snow belt. 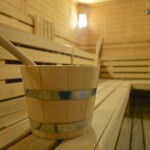 Club Med fitness (including a wide range of activities), traditional mixed sauna, Pilates and sleds for loan. Global Travel Solutions understands that family holidays are all about spending time together but on a Club Med holiday you can also devote some time to yourself. As parents or grandparents, you can enjoy a peaceful and relaxing holiday at Club Med Pragelato while your children have fun in the children’s clubs, under the watchful supervision of our G.Os®, and afterwards the whole family can come together for some truly unforgettable moments. Club Med has over 40 years’ experience specialising in providing fabulous family holidays! 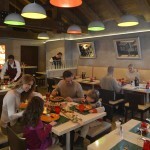 Specially designed meals, babysitting and much more. Clean Art Planet at Mini Club Med®, Snow Garden, Happy Nature Box, Multi Sports Programme & Babysitting. Fun and spacious play areas are provided at Club Med Pragelato, where your little ones can wear themselves out with their new-found friends. There are a host of activities for them to discover on their own or in a group with the G.O®s to encourage them to explore a wide range of activities designed to introduce them to new experiences. Activities and sports specifically designed for each age group within the MINI Club at Club Med Pragelato, all overseen by Club Med G.O®s. Mini Club Med will open up a whole new world of discovery and adventure. 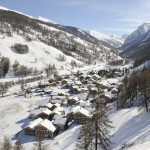 Club Med Pragelato have thought of everything possible to ensure your children have a unique, adventure-packed holiday. Contemporary spaces specially designed for teenagers, where they can meet, chat and get involved in activities that interest them, organised by dedicated G.O®s. A lot is offered but they are not obliged to join. Teenagers are the responsibility of their G.O®s only for the duration of the activities organised specifically for them at Club Med Pragelato. 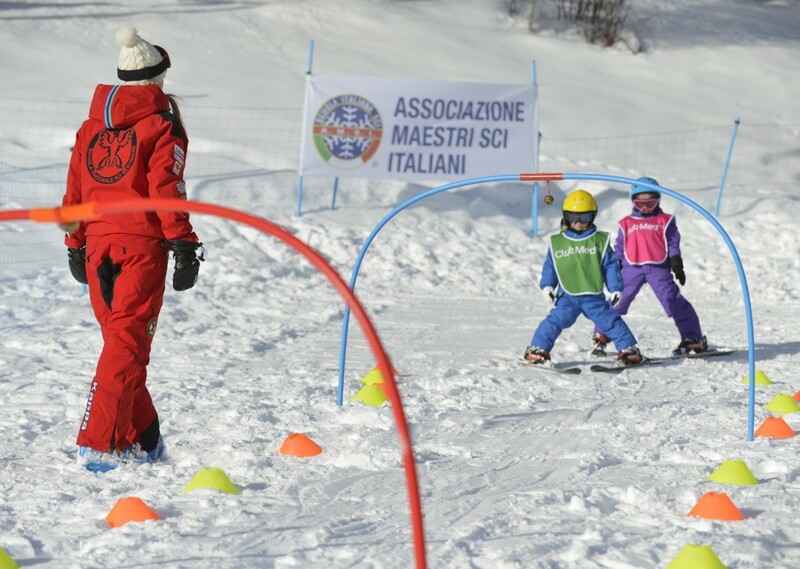 From 4 years old, participants learn to ski with circuits around figurines and under hoops at Club Med Pragelato; they learn to use the ski tow and snow belt. To enjoy a moment of total freedom, take advantage of the babysitting service. 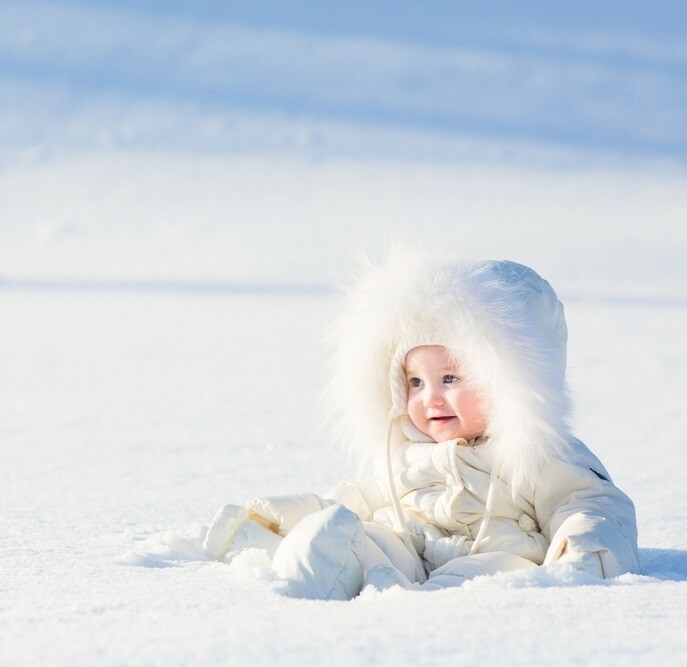 For information: Club Med Pragelato provides a list of babysitting services but has no responsibility for the service provided. The maximum age is 7.